The north of England is to get its own national daily newspaper that will put “national news first, with a regional emphasis”. 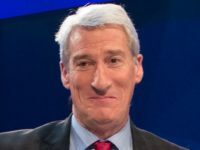 The new title, 24 – The North’s National, part of CN Group, will take 95 per cent of its content from the Press Association, akin to free national daily the Metro but with a distinctly northern “slant” on national stories. Former Express Newspapers journalist Mike Haworth has been drafted in as editor and two reporters from the group’s existing regional titles, which include the North West Evening Mail and The Cumberland News, will be seconded to work exclusively on the new title (and replaced on their old patches). Independent regional publisher CN Group said the paper would be distributed across an area with a population of 1.15 million adults, spanning from Preston to Lockerbie, and out to Hexham in the east and Workington in the west. This area is not currently served by city-based free title Metro, which has an edition in Newcastle. 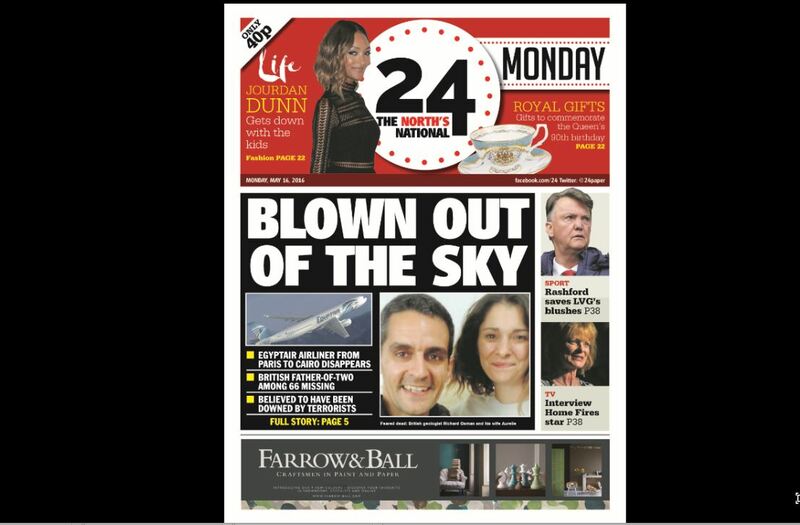 24 will come out Monday to Friday, with no weekend edition, in a 40-page tabloid format priced 40p. The first issue is to be published on 20 June. While it won’t have a dedicated website, a 24 section will be created on The News and Star and The North West Evening Mail’s news websites and its content will also feature on the group’s radio station, The Bay radio. 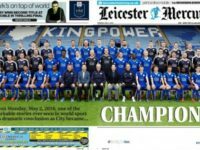 Group chief executive Miller Hogg told Press Gazette the decision to launch a new title was based on research into the distribution area and is aimed at people who “want a straight-talking newspaper which is of relevance”. “To be quite frank the state of the national market generally is probably one of the driving reasons why we’re doing it,” he said of the launch. “We’re seeing a declining audience, a disenfranchised audience. We know the national press are becoming more opinionated and more positionalised – politically and opinions-wise – and we believe from the research we’ve had that there is an awful lot of people who just want the news and they don’t want opinion rammed down their throats. The comparisons with DMG Media-owned Metro, which relies heavily on wire copy, are made by Hogg and his editorial director David Helliwell themselves, although they say they were also influenced by compact European papers such as 20 Minutes in France. “What we know from our existing titles is that nowadays people generally want a shorter read they want all the bases covered within that but it’s going to be eight pars, 250 words [for a lead], rather than 600 words that they may have had previously,” said Helliwell. But while the Metro is free and relies on distributing large volumes of copies at transport hubs around major conurbations, 24 will cost 40p and rely on regional and national advertising for revenue, as well as the cover price. As for the reason behind the use of PA copy, Hogg explains that it was entirely business driven. “From a cost point of view, to replicate that amount of talent and quality journalism that would cover what is both national and international news, there is no way we could invest in that and have a viable proposition,” he said. The two dedicated reporters’ “primary aim”, according to Helliwell, will be taking content from PA and making it appeal to a northern audience. That means moving away from London and the South East’s perspective on events and instead rooting them in the north. “Obviously that there are certain stories, for instance like the north-south divide stories that pop up every couple of days,” he explained. “It’s taking that story and making sure it’s written from a northern viewpoint rather than a south-east viewpoint. It’s when the football season’s on, looking at the fixtures and concentrating on the Man United’s the Man City’s, Newcastle, Rangers, Celtic, rather than Chelsea and Arsenal. Hogg said the government’s push for devolution, with jobs and services being moved out of London – including the BBC – will bring a more “northern-centric requirement for content” and said he thought 24 would be well placed to provide this. “If you look through the papers today and you saw everything about migrants landing on Kent beaches, is that really relevant to readers up here?” he said. “It is in one context, in terms of the referendum, but is it the news that actually is front page for them here? It’s those kinds of things that will be able to differentiate what is the highest and most relevant content for this audience. It’s not saying that isn’t news, it’s just saying what’s the most relevant news. He said 24 would be “unequivocally national news and national level news”, adding: “If there’s a breaking story in Carlisle it will be the News and Star that will cover that, not 24. So it’s not going to be a regional, it will be a regional national on the basis that it’s national news first with a regional emphasis. 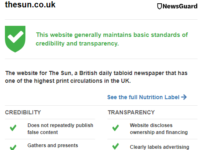 But is relying almost exclusively on existing Press Association newswire investing in quality journalism? “It’s a start point in terms of getting something out there,” said Hogg, formerly of regional publisher Archant. “All the investigation and all the research shows there is an opportunity. For Hogg and Helliwell, success would not only be accruing sales close to 10,000 a day, which they have benchmarked according to national newspaper sales and their own regional dailies, but also starting to bring in their own stories on 24. “Success would look like that we have an ever decreasing reliance on PA and we have an increasing reliance on our own teams as we invest. That has got to be where the success line of the future lies – more regional columnists, a couple of investigative and business journalists (…),” said Hogg. Good luck with that. I think I know what Private Frazer would say about it. The title is oxymoronic: if the paper is only distributed in the north, it isn’t national. And, as it is only published Mon-Fri, it isn’t daily. Presumably ’24’ means ‘coverage of the past 24 hours’. If so, should the Monday edition be renamed 72, to reflect its three-day gestation period?